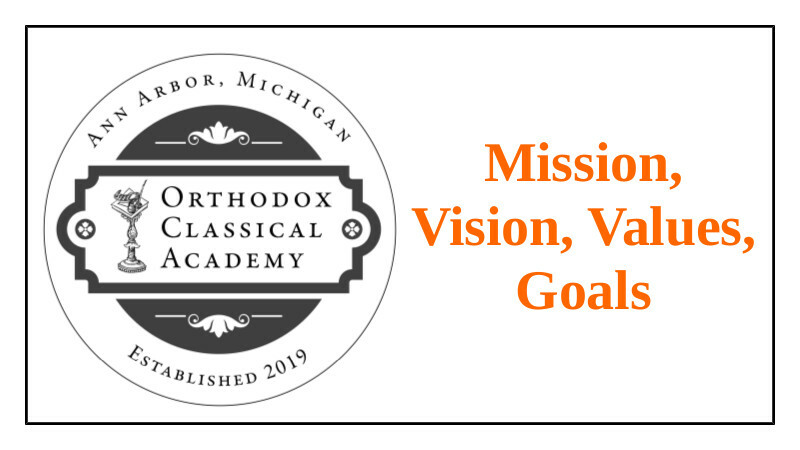 The mission of Ann Arbor Orthodox Classical Academy is to provide a Classical Education in an Orthodox Christian environment, allowing our students to grow to their full human and spiritual potential, with the ability to engage society as mature Orthodox Christians. A work in progress! More to come soon! Also a work in progress, but we feel that the information contained on the pages entitled Orthodox Life, and Classical Education make a good beginning here, as well as our goals listed below, but we aim to whittle these values down to something concise in the very near future!